To play video, hover above and press play button. 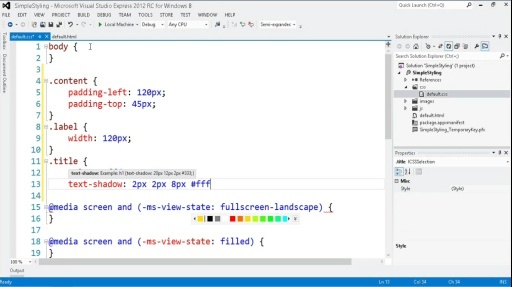 Michael Palermo shows us some simple styling techniques for our Windows 8 apps using CSS.. Attend a Windows 8 Developer Camp and Hackathon in your area! Copyright © Microsoft Corporation. All rights reserved.